A fundraising event requires a very unique style of organisation and a specific objective that differs from most parties and events. The event must entertain and offer guests plenty of enjoyment to entice them to the fundraiser. However, money is the main point of focus and creating numerous ways for guests to give generously is something that needs careful consideration. Firstly, you must decide where and when you are holding the fundraising event. Try not to organise the event at the last minute – the more time you give yourself the better the event. Allowing ample time to organise the event will also allow enough time for the word to spread and encourage more people to come along. Once the venue and dates are sealed you must come up with some suitable entertainment for the fundraising event. 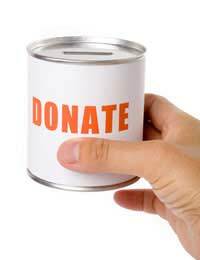 The entertainment must be money-making opportunities so that guests are enticed to donate. If you’re holding a music concert to raise money then the admission fee is going to be your main source of money, so don’t price it too low, otherwise you may only break even. The event can offer a wide range of entertainment or it could be holding one specific form of entertainment. For example, you may want to organise a music concert or an auction – both are great ways of raising money whilst entertaining. You could arrange a selection of smaller money making opportunities, such as food and drinks stall, games (e.g. hoopla, coconut shy etc.) or entertainment such as a magician or performer. When organising a fundraising event ask your friends, family and acquaintances if they can help out or offer their services to the event. If it’s for a good cause and they have the time they are unlikely to let you down. These contacts can be extremely useful for example you may know a band that will play at your event for free or you may have a relative who is an artist that can donate some of their work towards an auction or just to sell at the event. Try and use any contact you have to make the event more interesting. Using these contacts will also save you money in hiring entertainment, which will therefore result in more profit for the cause. Make sure you have enough help before and during the event. Make sure you acquire people for collecting admission fees, standing at stalls, helpers for the entertainment and anything else that needs supervising or attention. You should be able to gather up enough people you know or who are interested in the charity or cause to volunteer to help, so ask around. An important aspect of a fundraiser is to update the guests with information of how their donations have been used and the latest news on the cause or charity. It is also advisable to send out thank you messages to anyone that attended the event and that includes volunteers and helpers of the event.